Harry Potter fans are eagerly anticipating the opportunity to return to J.K. Rowling's magical world when Fantastic Beasts and Where To Find Them makes its way into theaters next year. There's been talk of the adaptation being three or more movies for quite some time now, however, from what producer David Heyman said in a recent interview, it sounds like the trilogy may not be such a sure thing. Or at the very least, that they're presently treating the project as a single movie, with the potential for sequels. Collider sat down with David Heyman to talk about Paddington, which hits theaters next week. They brought up the topic of Fantastic Beasts and Where To Find Them, which is due to release November 18, 2016, which led to Heyman explaining that they're presently looking at Fantastic Beasts as one film. We’re making just one film, but I believe there’s been talk about it being three. But we’re just talking about it as one." There most definitely has been talk of Fantastic Beasts and Where to Find Them being "three megamovies," as described by the NY Times in a feature focused on Warner Bros. CEO Kevin Tsujohara last March. More recently, there was talk of the movies extending beyond three movies. But from what Heyman says -- and you can watch the video of him in the Collider interview here -- it seems like they're focusing primarily on the one movie, at least for now. It's entirely possible that WB and the producers want to take a wait-and-see approach on this project to see how it does before they start thinking about sequels. 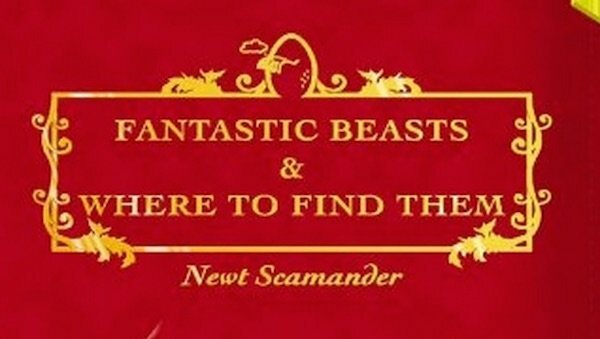 Fantastic Beasts and Where to Find Them is being written by J.K. Rowling, and is based on a bonus book Rowling penned for charity. It's set up as a reference guide, so there isn't much story to go on, beyond the book's introduction and the various beasts indexed in the book. And the planned adaptation's connection to the Harry Potter universe is loose, in that it's set in the same world, but will take place seven decades before Harry Potter arrived at Hogwarts. So, while this film is tied to the Harry Potter universe, it's not expected to feature many (if any) characters from the original series. If I were a betting person, I'd put a lot of galleons on Harry Potter fans showing up to see Fantastic Beasts when it hits theaters. And I'm just as inclined to believe that, even if the producers are only looking at this as one movie for now, if a trilogy or more is in the cards, author and screenwriter J.K. Rowling would have a longer game in mind for the story. But that's just speculation based on everything we know about the author and her approach to storytelling. And if Fantastic Beasts does prove to be a hit, it stands to reason that WB will want to roll with it, so we'll see what happens. For now though, it sounds like we should only count on one movie for sure. And from what Heyman said in the interview, they plan to start shooting that this summer, which means we have between now and then to wonder who will star in the film and wait for more information about the plot and characters, beyond what little we know -- it will be set in New York City in the 1920s and will center on Newt Scamander, the author of the Fantastic Beasts and Where to Find Them. As for the cast, Heyman says they're still in the "early, early, early days" of that process, so no word on that yet. But he did confirm that Harry Potter production designer Stuart Craig is on board for Fantastic Beasts and Where to Find Them.